Imagine if they made an 81, which is incredible as is, even better. Well, they did, and the JH set is it. Great pickups with and amazing range of tone be it clean or distorted. Definitely gonna go in every guitar I buy. These pickups are amazing. I love the dynamics I can get from them be it clean or distorted. James has been my biggest influence in the way I play guitar and is actually the reason I started playing. So when I found out he had a signature pickup I knew I had to get it. These pickups are gonna be my go to from now on whenever I buy a guitar. Real tale of two cities, these pickups. The bridge pickup is useless for anything except high gain at which it's clear, defined and punchy. Conversely the neck pickup is probably the best sounding humbucker I've heard for a clean humbucker sound, yet doesn't work at all well in the bridge position. Good for what they do. If you're going to roar on the bridge and play clean on the neck, they're a great set. I absolutely love these pickups, the Het Set is my new standard. In addition, EMG is my standard and will turn to EMG for any of my guitars from now on. Anyone looking for great warm passive combined with a tight active pickups, seriously look no further! Their customer service is top notch, especially James Kearney when I had a shipping address issue. EMG you guys are amazing and will always turn to you for my pickup needs. I really really want those in my 7 strings guitar! I bought this set for my 6 strings guitar then i felt in love! 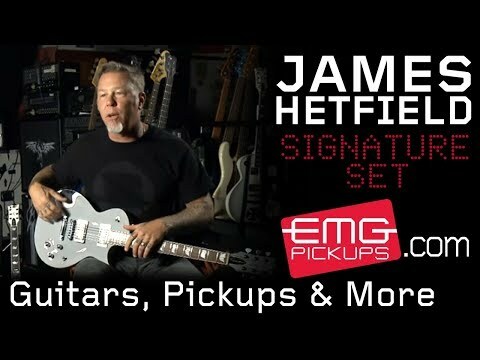 The demand is there so i cant understand why EMG dont offer us those amazing things in 7-8-9 strings?!? I recently installed these in one of my guitars (Schecter SLS C-1) and and really dig the tone i get from these pickups. It has that Active punch but also sounds passive in a way. I have been using EMG's pretty much since I started playing guitar and I like how consistent they are as well as how easy they are to install with the solderless install kit. The only gripe I have is they don't make a 7 string version of this pickup set. The 57-7 and 66-7 is the closest match but I have tried that and while it is good, it doesn't provide that punch in the gut that a ceramic magnet pickup gives. For now I'll continue to use the 81-7x in my 7 strings but if they ever release a 7 string version of this pickup I would be all over it. Okay look. 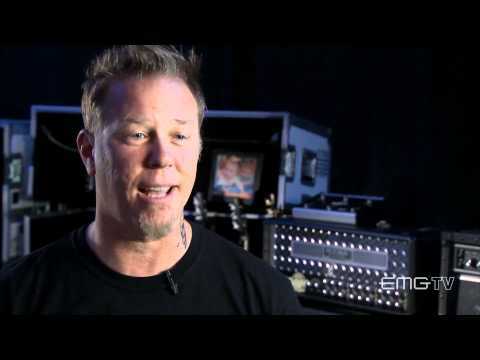 James Hetfield was looking for pickups that retained the warmness and bite of an active pickup, but still had the punchiness of a passive pickup. Now, I got the chance to play the pickups in an ESP eclipse, and then play the 57/66 n the same guitar. Indeed the Het set has a little more punch to it, but it was almost sonically inaudible. If I were you, I would just get the 57/66 and save a little money. The "Het Set" is great, but the 57/66 is a better value. I recently purchased a 2014 ESP LTD Snakebyte... with the JH-Set pickups... WOW... amazing sound. These pickups sound simply amazing. I have 8 guitars and 2 basses with EMG Pickups. I don't regret upgrading them to EMG, I will eventually change ALL my pickups to EMG, except for my Gibson Les Paul's... But I'm entirely hooked on EMG pickups. If anyone asks me advice on upgrading pickups... I tell them to go EMG all the way... Active or Passive... whatever... EMG pickups Rock 'n Rule!!!! !